Juicing is continuing to be a constant in my nutritional needs. My friend Brandi has been generous with bringing me the largest cucumbers from her harvest. One of those mama jammas will yield almost 2 cups. Compare that to a store bought cucumber which only yields 1/4 cup of juice. I added a few carrots and a fist sized beet for blood pumping nitrates. 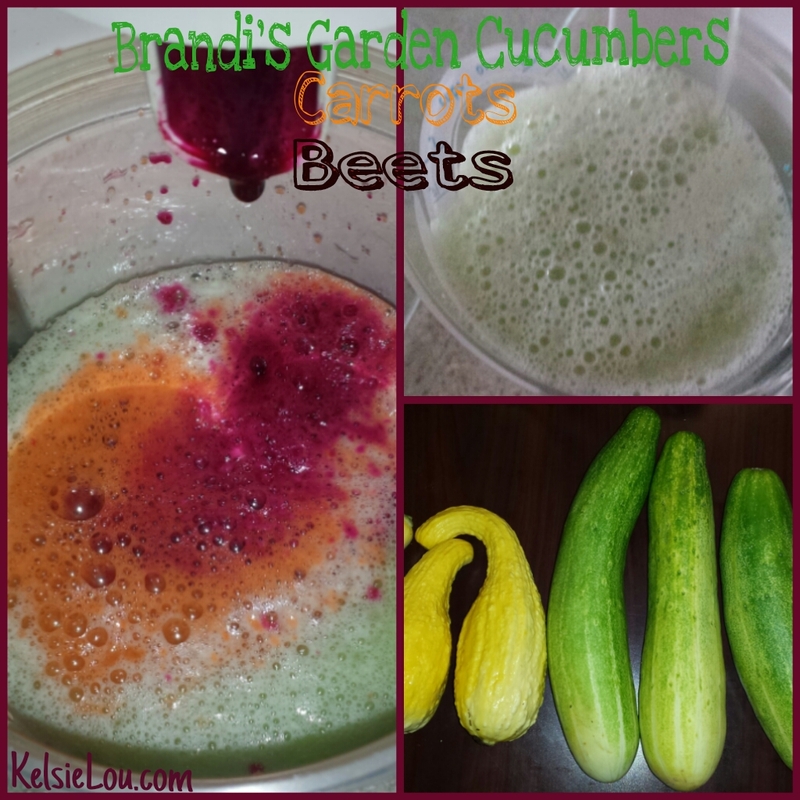 Brandi keeps me stocked in squash, zucchini and a hybrid of both which I love to casserole. Healthy Eating + Good Rest = Strong Performance! I’m pulling some sub 8:00 pace training runs for my midweek 5-6 milers. 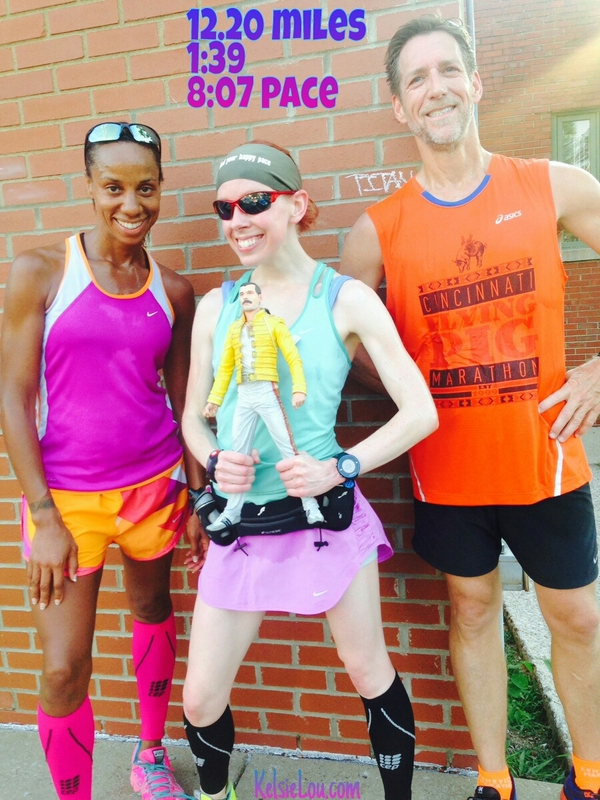 This energy transfered to a great long run with Karen and Matt. Karen was on her way to Detroit for a Queen concert. Matt is training for the Lehigh Valley Marathon on September 7th. He is hoping to reduce his Boston qualifying time earned at the Flying Pig to have a better chance on a 2015 entry. My day continued with welcoming my next foster placement for an overnight visit. 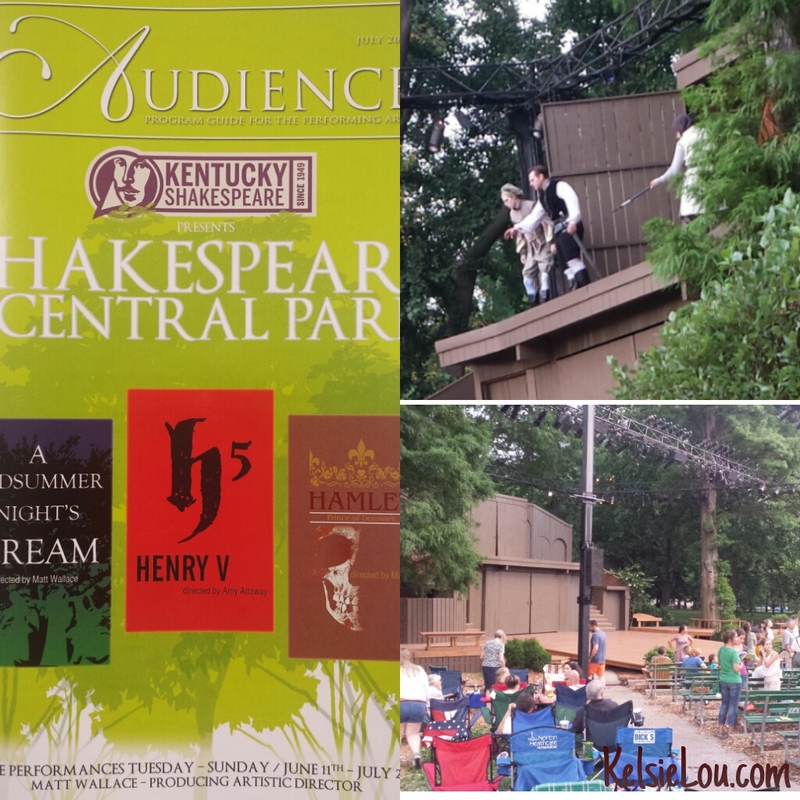 We went to Central Park to watch a performance of Hamlet. 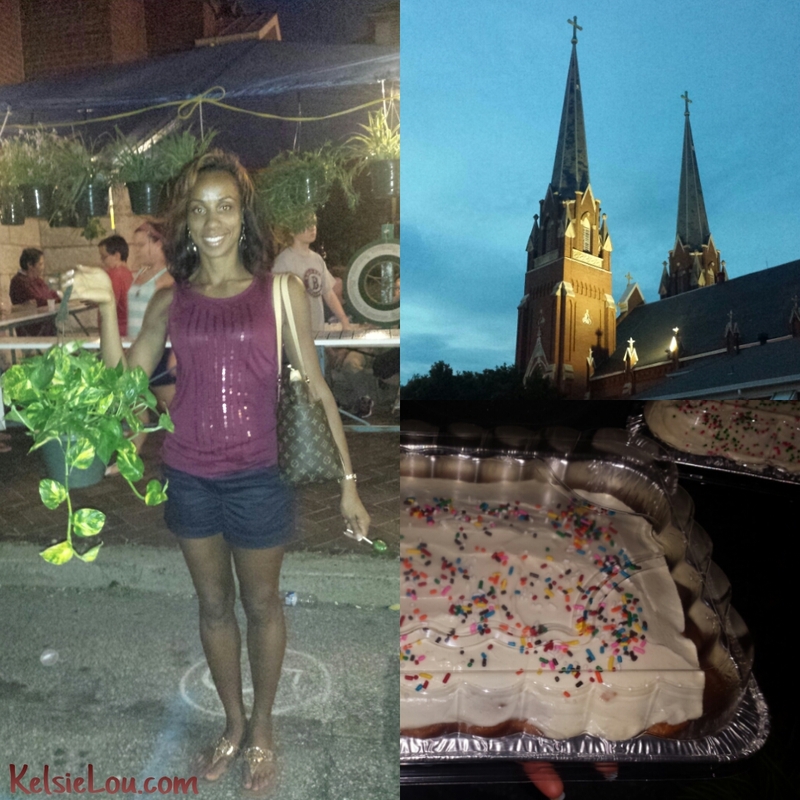 Afterwards, we headed to the location of the largest twin spires in Louisville located at St. Joseph’s Catholic Church. It was the last day of their picnic and Whitney won two plants and two cakes. On Sunday, we concluded our visit with a Lascito Coro concert at the Ursuline Arts Center. They performed selections from Dance On My Heart, Esto Les Digo, Hodu, and I’m Goin’ Up Yonder to name a few. Overall, the week was positive and productive. That was the decision I made. To BE! This entry was posted in family, fitness, Juicing, Louisville, marathon, Performing Arts, running and tagged Central Park, Hamlet, Louisville Youth Choir, Shakespeare, St . Joseph Catholic Church. Bookmark the permalink. 12 Responses to To Be Or Not To Be? Thanks Salt! I can’t wait to see what pace I can average when I get to those 15+ milers. These times are a major improvement from last year’s 9-9:15 pace. Looks like a great week! I love the little mascot y’all have. Nice job on your runs! You have been a great friend, training partner, and incredibly motivating to me and others around you. Being a Virgo you know how we are once we lock in a goal. We’re determined and loyal until we reach it! Heck yeah, we are!! That’s just the way Virgo’s are. I have taken it upon myself, though, to make sure you get to that starting line without injury, fatigue, and all that…because I’m your friend and I want you to succeed. That’s why I said I was just throwing that out there. 😀 You are a fantastic runner…and your speed inspires me. I hope to one day channel your speed myself and get my 5K goal. We’re gonna work on that 5K goal sooner than later! Great job! Have a good week! Thanks, and you do the same Chelsea!